Business meets Policy: Disruption on its way? Your business model could be out-of-date. In this brand new Business Meets Policy session, US economist Jeremy Rifkin debates with entrepreneur Jeremy Leggett and Enel Green Power’s CEO Francesco Venturini on disruptions brought in by the energy transition. 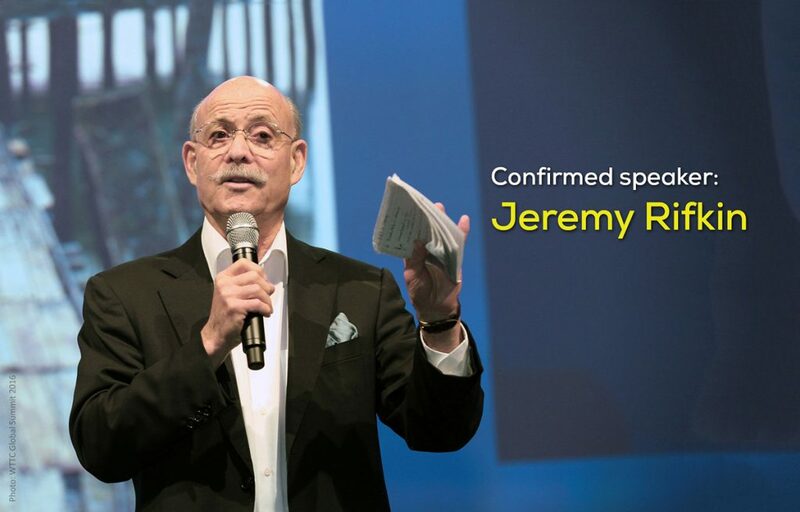 Jeremy Rifkin advises the European Union and triggered historic shifts in the world’s biggest economies. He wrote the blueprint for the German “Energiewende” and inspired China to embrace a third industrial revolution in its latest five-year-plan. He believes that both ubiquitous connectivity by 2030 and a system of zero marginal cost energy will be reality. But utilities will have to explore new business models to thrive in this new paradigm. Francesco Venturini will chime in with a perspective rooted in his experience as the CEO of one of the world’s largest renewables developers alongside futurist Jeremy Leggett. Jeremy Leggett, Chairman of Solarcentury and one of the world’s leading chronicler of the energy transition, has seen disruptions in the making with the global solar boom. Mastering the technological challenges might be as important as triumphing in the political arena to win – what he calls in his bestseller – “the carbon war”. By learning about the hurdles and hopes to the energy transition, you make your business fit for the future. Register online today and save up to 135 euros* off the onsite rate.